i b i k e l o n d o n: Pedaling a path to London's "Crystal"
Pedaling a path to London's "Crystal"
A thirty million pound urban sustainability centre will shortly open to the public in East London, aiming to position the humble bicycle as just one of the solutions to the growing number of problems facing growing cities all over the world. 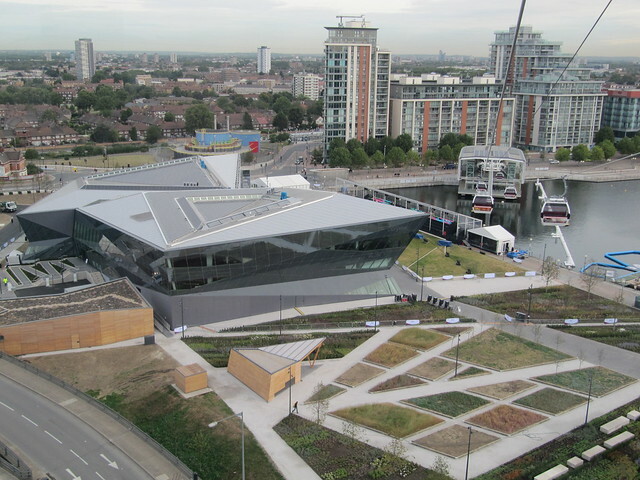 A new initiative from Siemens, "The Crystal" has been built on former industrial wasteland in London's Royal Docks (just a short cable car ride from North Greenwich) as part of Newham's Green Enterprise Zone. 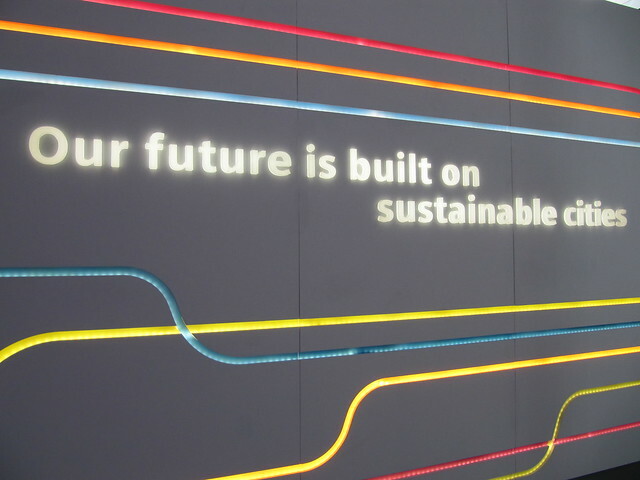 Made up of flexible working space, a public cafe producing locally sourced food, meeting rooms, a 400-seat conference venue as well as an interactive multi-media public exhibition; the first of its kind in the world focusing exclusively on the issues surrounding urban sustainability. 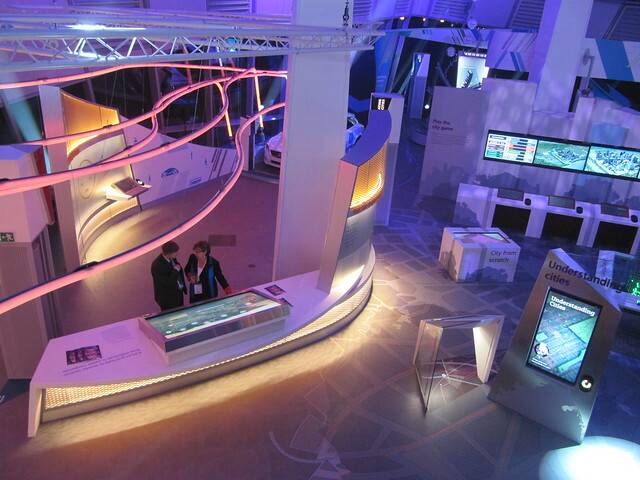 In addition to providing a new home for the Siemens Cities team it is hoped the building will “enable experts, business leaders, decision makers, students and citizens around the world to come together and find solutions to the challenges facing cities” according to Siemens CEO Dr Roland Busch. The next day "The Crystal" hosted city planners, mayors, urban planners and thought leaders from around the world at it's first conference for UN Habitat (the United Nations Human Settlement Programme) for the publication of their new guide "Urban Planning for City Leaders" With 75% of the global population expected to live in cities within the next 50 years and with developed countries expected to have to double their urban area (or by 300% in developing countries) the cities of our future face a number of unique challenges which we must tackle now if people are to be able to lead happy, healthy and successful lives. According to UN Habitat Executive Director (and former Mayor of Barcelona) Dr Joan Closs not least of all these problems is transport and how we move around our cities. "Urban planning and good urban design is essential, especially in emerging cities. 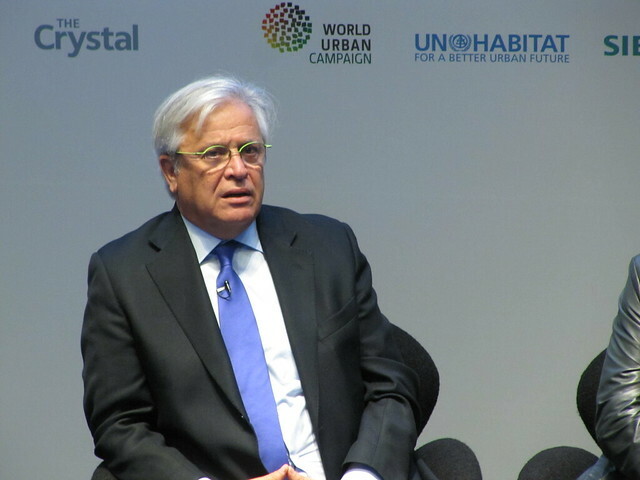 The main problem we are facing in the developing world is we are building a lot of buildings, but not building cities. This leads to lots of issues, congestion being the biggest." 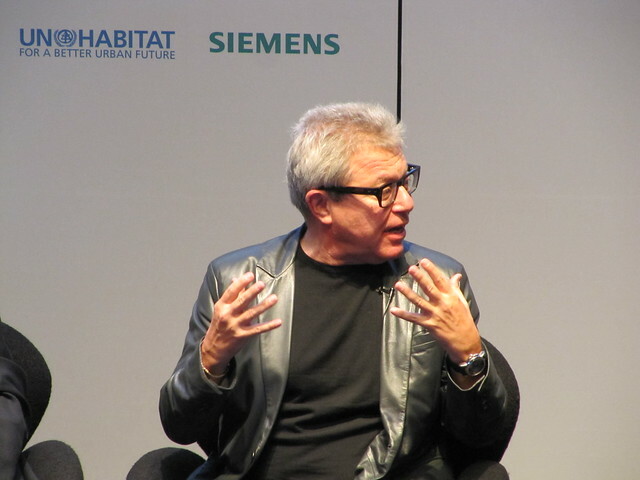 Contributing speaker, architect Daniel Libeskind, continued the theme of the importance of planning and design that is relevant to people on the ground; "The humanistic city was dismissed in favour of the post-industrial technocracy. But cities are birds, and streets, and parks, and people, and writers and lovers and dramatists and poets... Unless a city is built on a participatory, democratic scale, that city won't have a future." "Urban Plannng for City Leaders" aims to highlight some of the best examples of planning for people from around the world, as well as give advice to city leaders on how to avoid the mistakes of the past. Subjects as varied as the importance of a comprehensive services grid to considering the place of cyclists and pedestrians are covered and the guide is available as a free download from the UN Habitat website and is a must read for all planners, urban designers and aspiring city change makers. 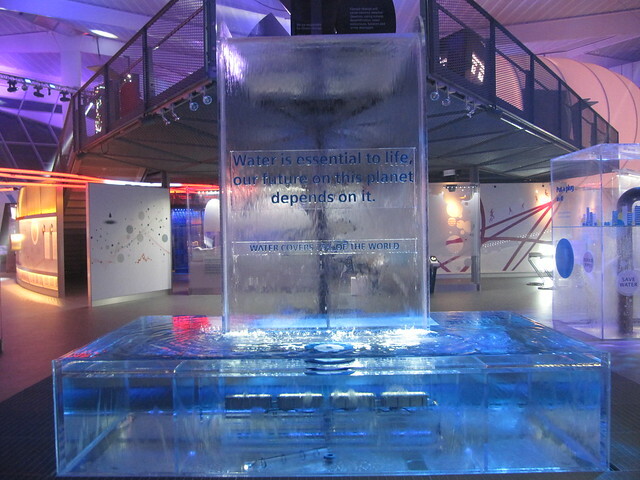 The public exhibition on sustainable cities is built around 10 'zones' which explore different themes ranging from 'Forces of Change' to 'Creating Cities'. 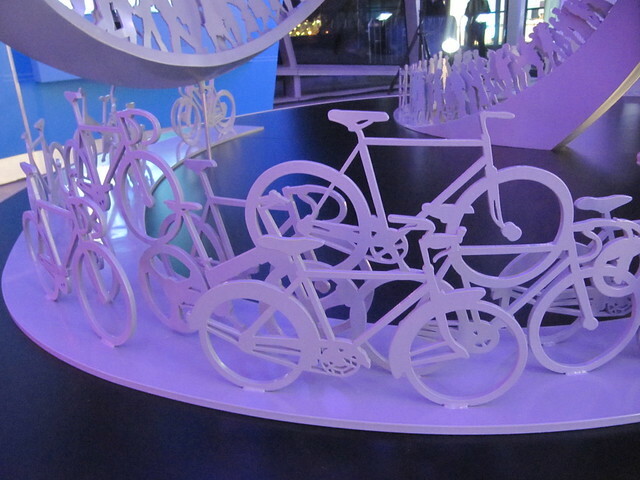 'Keep moving' imagines how we might move around in a world where city populations are hungry for public transport infrastructure and considers how we might use the humble bicycle in years to come alongside buses, trains and car sharing schemes. 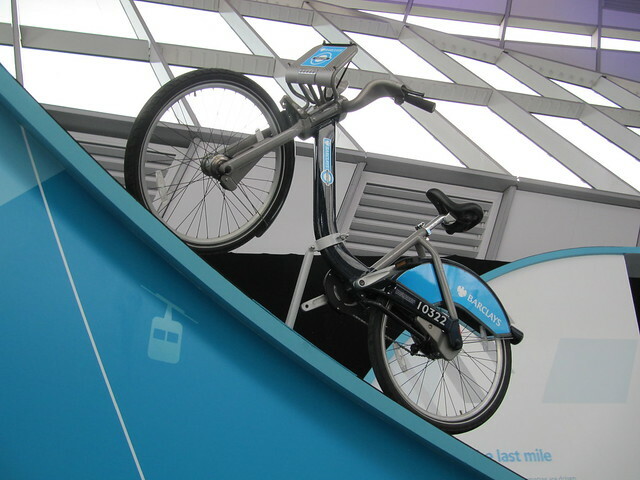 One of London's distinctive dark blue public bike share 'Barclays Cycle Hire' bicycles takes pride of place in the exhibition alongside a display of other transport options. Covered bike parking is provided on site alongside an electric bicycle charging point. You can reach The Crystal on largely traffic-free or quiet routes using CS3 from Tower Hill and the seperated bicycle paths alongside the A1020. 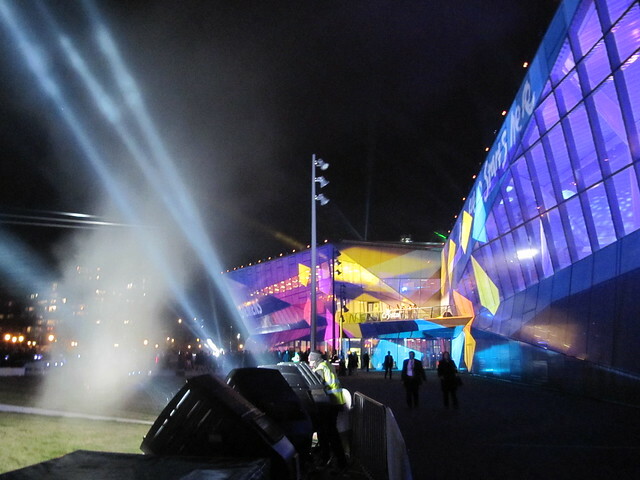 For further information and for opening times please visit The Crystal website. Excellent (blog post and download), but how ironic that this building, which seems to promote practical principles and looks well worth a visit, is situated in a city where conditions for cycling are among the worst in northern Europe, and show little prospect of improving in the near future without a major change of heart. 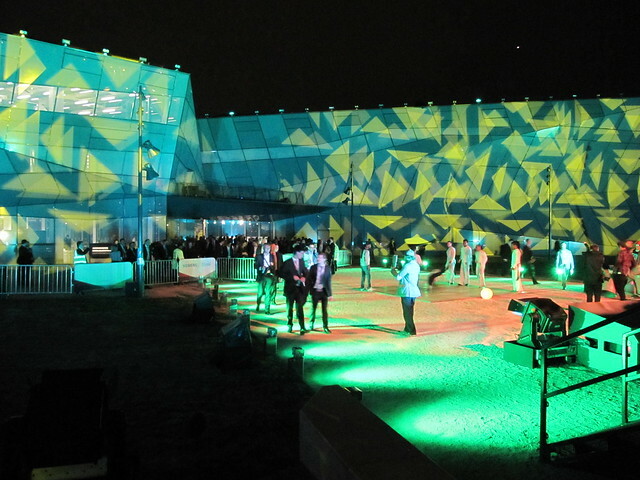 Very beautiful architecture in the blog.Please update more things in the blog.Keep good work in the blog.